Avery, O. T., MacLeod, C. M., and McCarty, M. (1944), "Studies on the chemical nature of the substance inducing transformation of pneumococcal types," J. Exptl. Med. 78: 137-158. Barrell, B. G., Bankier, A. T., and Drouin, J. (1979), "A different genetic code in human mitochondria," Nature 282: 189-194. Belozersky, A. N. and Spirin, A. S. (1958), "A correlation between the compositions of deoxyribonucleic and ribonucleic acids," Nature 182: 111-112. Brachet, J. (1941-1942), "La detection histochimique et le microdosage des acides pentosenucleiques," Enzymologia 10: 87-96. Brenner, S., Jacob, F., and Meselson, M. (1961), "An unstable intermediate carrying information from genes to ribosomes for protein synthesis," Nature 190: 576-581. Casperson, T., Landstrom-Hyden, H., and Aquilonius, L. (1941), "Cytoplasmanukleotide in eiweissproduzierenden Drusenzellen," Chromosoma 2: 111-131. Chambers, I., Frampton, J., Goldfarb, P., Affara, N., McBain, W., and Harrison, P. R. (1986), "The structure of the mouse glutathione peroxidase gene: the selenocysteine in the active site is encoded by the "termination" codon TGA," EMBO J. 5: 1221-1227. Crick, F. H. C. (1959), "The present position of the coding problem," Brookhaven Symp. Biol. 12: 35-38. Crick, F. H. C. (1966), "The genetic code: Yesterday, today and tomorrow," Cold Spring Harbor Symp. Quant. Biol. 31: 1-9. Crick, F. H. C., Barnett, L., Brenner, S., and Watts-Tobin, R. J. (1961), "General nature of the genetic code for proteins," Nature 192: 1227-1232. Furuichi, Y. and Miura, K.-I. (1975), "A blocked structure at the 5'-terminus of mRNA from cytoplasmic polyhedrosis virus," Nature 253: 374-375. Furuichi, Y., Morgan, M., Muthukrishnan, S., and Shatkin, A. J. 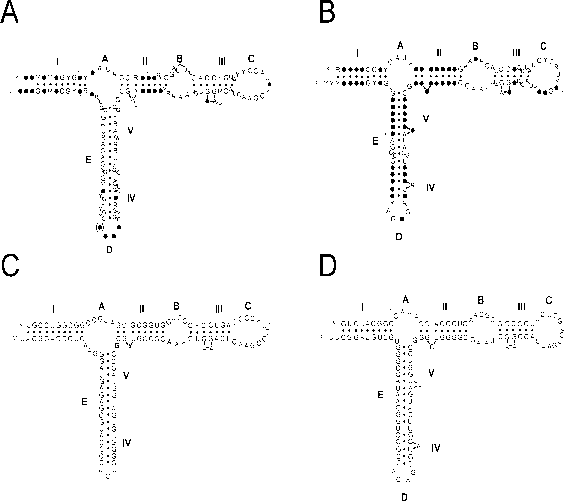 (1975), "Reovirus messenger RNA contains a methylated blocked 5'-terminus structure: m7G(5')ppp(5')G™pCp," Proc. Natl. Acad. Sci. U.S.A. 72: 362-366. Gamov, G., Rich, A., and Ycas, M. (1956), "The problem of information transfer from the nucleic acids to proteins," Advan. Biol. Med. Phys. 4: 23-68. Gros, F., Hiatt, H., Gilbert, W., Kurland, C. G., Riseborough, R. W., and Watson, J. D. (1961), "Unstable ribonucleic acid revealed by pulse labeling of Escherichia coli," Nature 190: 581-585. Grunberg-Manago, M. and Ochoa, S. (1955), "Enzymatic synthesis and breakdown of polynucleotides: Polynucleotide phosphorylase," J. Amer. Chem. Soc. 77: 3165-3166. Hershey, A. D. and Chase, M. (1952), "Independent functions of viral protein and nucleic acid in growth of bacteriophage," J. Gen. Physiol. 36: 39-56. Jacob, F. and Monod, J. (1961), "Genetic regulatory mechanisms in the synthesis of proteins," J. Mol. Biol. 3: 318356. Khorana, H. G., Buchi, H., Ghosh, H., Gupta, N., Jacob, T. M., Kossel, H., Morgan, R., Narang, S. A., Ohtsuka, E., and Wells, R. D. (1966), "Polynucleotide synthesis and the genetic code," Cold Spring Harbor Symp. Quant. Biol. 31: 39-49. Nirenberg, M. W. and Leder, P. (1964), "RNA codewords and protein synthesis: The effect of trinucleotides upon the binding of sRNA to ribosomes," Science 145: 1399-1407. Nirenberg, M. W. and Matthaei, J. H. (1961), "The dependence of cell-free protein synthesis in E. coli upon naturally occurring or synthetic polyribonucleotides," Proc. Natl. Acad. Sci. U.S.A. 47: 1588-1602. Nirenberg, M. W., Jones, O. W., Leder, P., Clark, B. F. C., Sly, W. S., and Pestka, S. (1963), "On the coding of genetic information," Cold Spring Harbor Symp. Quant. Biol. 28: 549-557. Speyer, J. F., Lengyel, P., Basilio, C., Wahba, A. J., Gardner, R. S., and Ochoa, S. (1963), "Synthetic polynucleotides and the amino acid code," Cold Spring Harbor Symp. Quant. Biol. 28: 559-567. Spiegelman, S. (1961), "The relation of informational RNA to DNA," Cold Spring Harbor Symp. Quant. Biol. 26: 7590. Spirin, A. S. and Nemer, M. (1965), "Messenger RNA in early sea-urchin embryos: Cytoplasmic particles," Science 150: 214-217. Spirin, A. S., Belitsina, N. V., and Ajtkhozhin, M. A. (1964), "Messenger RNA in early embryogenesis," J. Gen. Biol. (Russian) 25: 321-338. English translation (1965) Fed. Proc. 24: T907-T922. Volkin, E. and Astrachan, L. (1956), "Phosphorus incorporation in Escherichia coli ribonucleic acid after infection with bacteriophage T2," Virology 2: 149-161. Watanabe, K. and Osawa, S. (1995), "tRNA sequences and variations in the genetic code." In: tRNA: Structure, Biosynthesis, and Function (D. Soell and U. L. RajBhandary, eds. ), pp. 225-250, ASM Press, Washington, DC. Watson, J. D. and Crick, F. H. C. (1953), "Molecular structure of nucleic acids," Nature 171: 738-740. Watson, J. D. and Crick, F. H. C. (1953), "Genetical implications of the structure of deoxyribose nucleic acid," Nature 171: 964-967. Yamao, F., Muto, A., Kawauchi, Y., Iwami, M., Iwagami, S., Azumi, Y., and Osawa, S. (1985), "UGA is read as tryptophan in Mycoplasma capricolum," Proc. Natl. Acad. Sci. U.S.A. 82: 2306-2309. Zinoni, F., Birkmann, A., Leinfelder, W., and Boeck, A. (1987), "Cotranslational insertion of selenocysteine into formate dehydrogenase from Escherichia coli directed by a UGA codon," Proc. Natl. Acad. Sci. U.S.A. 84: 31563160.